Twenty-Two goal attempts for Newcastle compared to three for Swansea and the fact that over 60 minutes elapsed between Swansea's first and second effort on goal show who had the upper hand in this game but ultimately who cares, it's a great point. In some respects it was the similar to the Fulham game but with roles reversed, the obvious difference being Newcastle being unable to find a way through. It'd show a serious lack of appreciation of the effort put in by the Swans to call the result lucky, yes Newcastle struck the frame twice but Michel Vorm is currently putting in performances of such quality that the only goals we are conceding are where who is in goal is irrelevant. In terms of chalkboards the obvious comparison is between the first and second half, in particular Gower and Agustien. 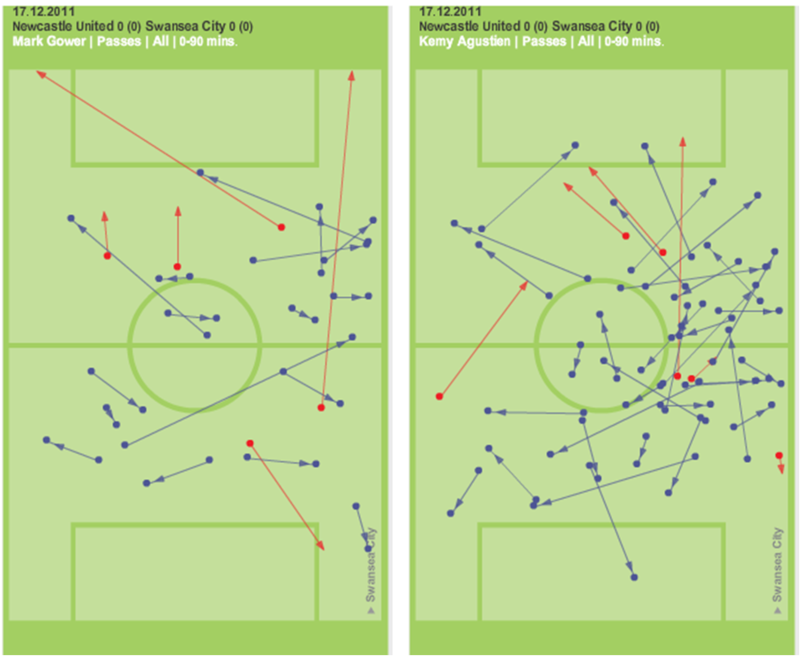 Kemy certainly added some solidity and made almost double the number of passes. 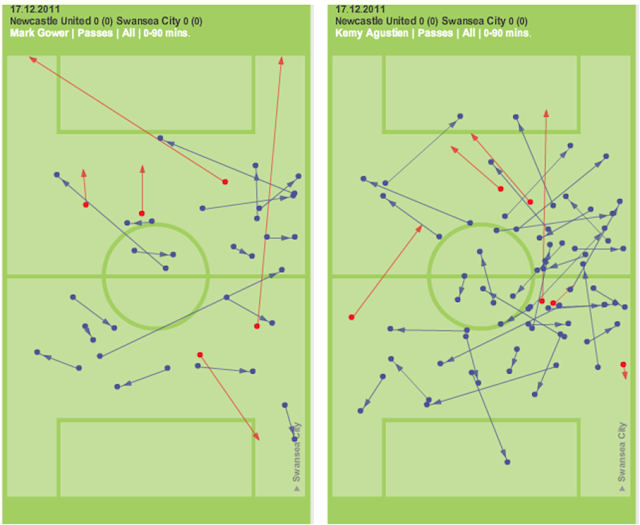 Agustien made 42 passes compared to Gower's 22 with only 1 more misplaced pass (6 compared to 5). There's certainly a case for starting Kemy on Wednesday against Everton but Gower has had 5 assists this season with the next highest player having 1 so with four games in two days they'll probably both get a couple of games each with my guess being Kemy starting on Wednesday.